was discovered by John Herschel in 1834, and gets the popular name 'Meathook' from its unusual 'S' shape. This distortion of its spiral arms is likely due to an ancient encounter with another galaxy. 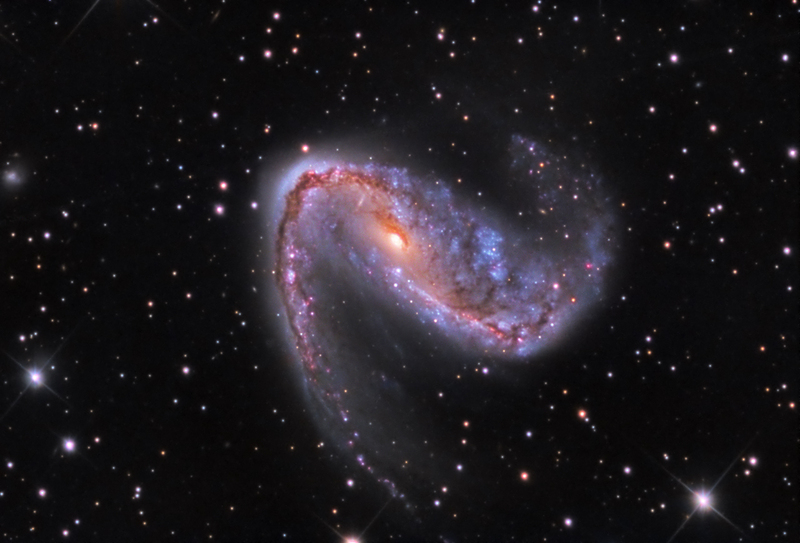 Located approximately 50.000,000 light-years away, it features two dusty arms extending from a pronounced central bar. This data was acquired by SSRO.